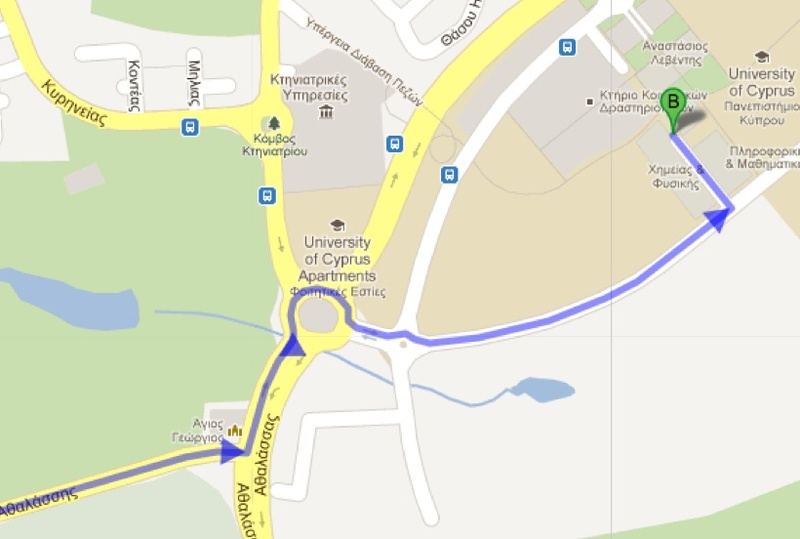 Getting to the University of Cyprus: The University of Cyprus is located in Nicosia, the capital of Cyprus. The university campus is approximately 50 km from the Larnaca airport. 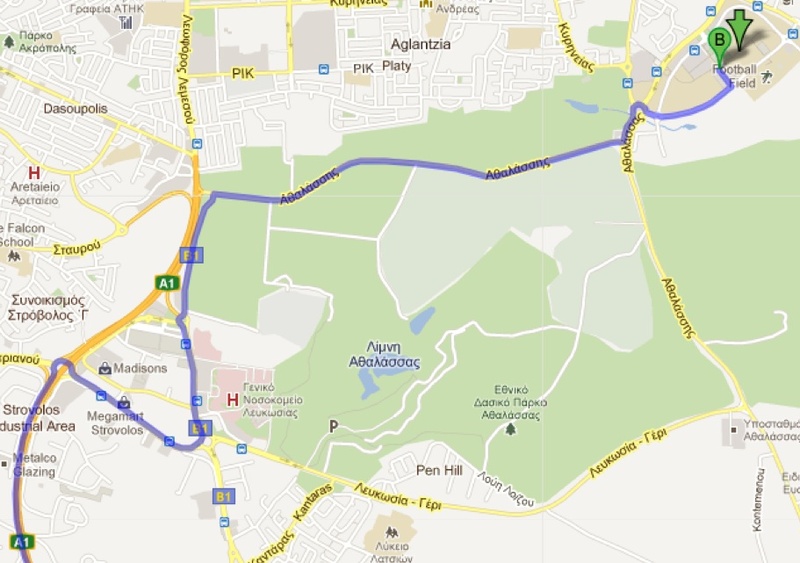 The most convenient way to go from the airport to Nicosia is by taxi (the ride will cost approximately 50-60 Euro). Note that Nicosia is approximately 130 km from the Paphos airport. Other means of transportation is by using the transurban system. 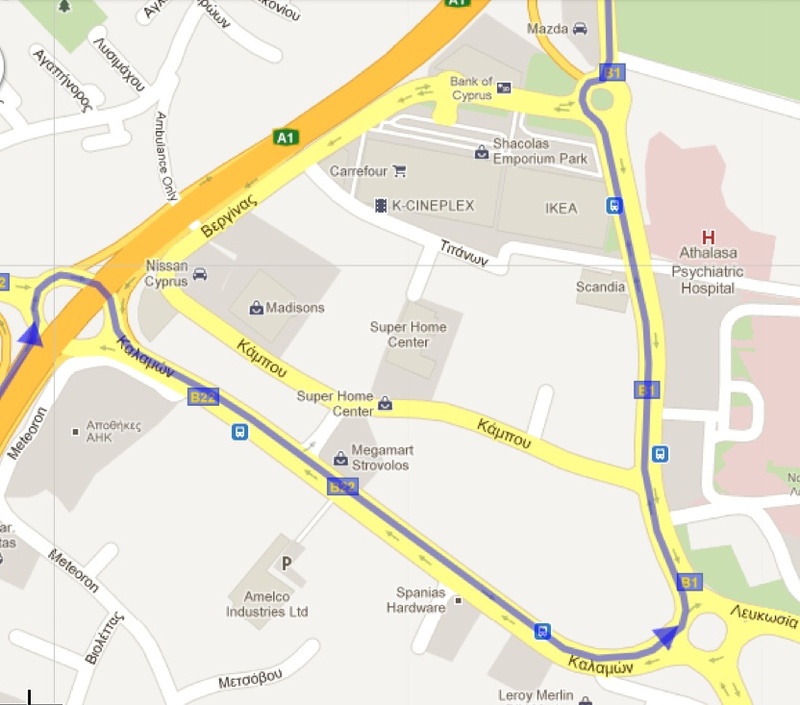 Route information as well as taxi tariffs can be found here.